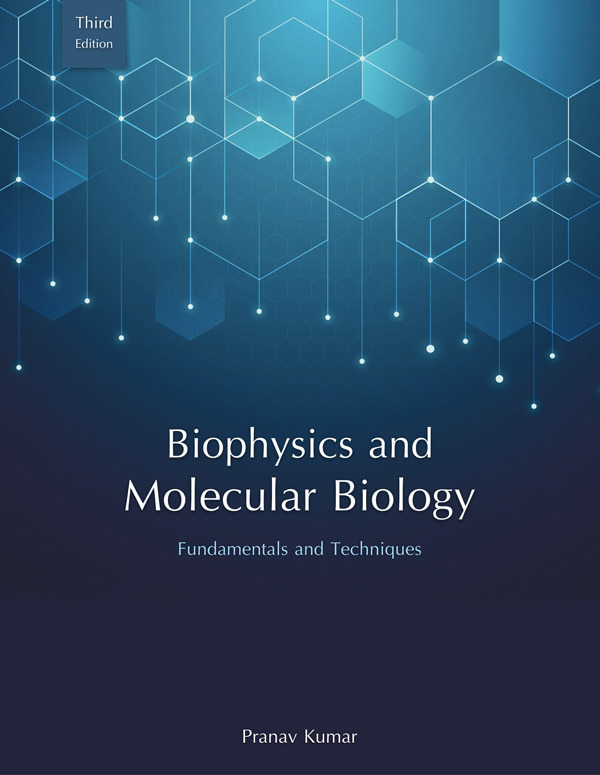 Fundamentals and Techniques of Biophysics and Molecular Biology textbook has the primary goal to teach students about theoretical principles and applications of the key biophysical and molecular methods used in biochemistry and molecular biology. A substantial theoretical basis has been covered to understand key experimental techniques such as Chromatography, Electrophoresis, Spectroscopy, Mass spectrometry, Centrifugation, Microscopy, Flow cytometry, Chromatin immunoprecipitation, Immunotechniques FRET and FRAP, Polymerase chain reaction, Phage display, Yeast two-hybrid assay, DNA sequencing, Biosensors and CRISPR/Cas systems so that students can make appropriate choices and efficient use of techniques. The most significant feature of this book is its clear, up-to-date and accurate explanations of mechanisms, rather than the mere description of facts and events. Theoretical principles and applications contained in this book have been designed to resemble the pattern of CSIR-JRF-NET, DBT, GATE, ICMR, IISc, JNU, IIT and other entrance examinations.